Hey all you moon watchers the moon is full today, July 22 at 2:16 pm est. 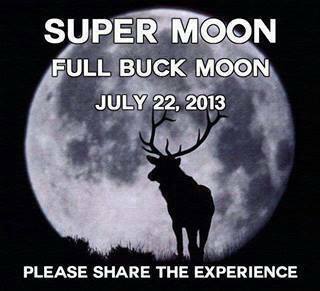 This full was commonly referred to as the full buck moon because it’s when the new antlers on the buck deer emerge out of their foreheads. They are like a velvety fur. I love a good storm, as long as I am safe in the house. It actually gets my creative juices flowing and I like to do my writing when it’s storming out!